These lightened-up Mediterranean Chicken Pita Tacos make a great weeknight meal. With grilled chicken, fresh cucumber, roma tomatoes, and onion in a whole-wheat pita, you can't go wrong. There’s just something I love about freshly chopped veggies paired with grilled chicken and a lime-y sauce. These Chicken Pita Tacos are easily thrown together in a matter of minutes, making them the perfect weeknight meal. These tacos are incredibly simple to make. 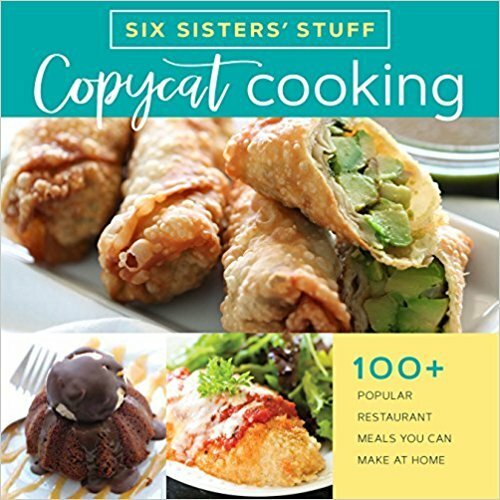 While we think they taste best made with a pita, you can easily substitute it for flour or corn tortillas. The recipe starts with grilled chicken, diced. We usually use a pre-made grilled chicken (you can find it in the frozen section), but you could use rotisserie chicken or leftovers, too. In a small bowl, toss the chicken with diced tomatoes, cucumber, and red onion. To make sure you get even, quick cuts, you’ll want to use a sharp knife (the better quality of knife, the better the cuts will be). Toss the vegetables and chicken with red wine vinaigrette and set aside. Next, you’ll want to make the lime crema. It’s perfectly tart, with just the right amount of citrus tang. You can use lime juice, but we think the flavor is a lot better when you use a fresh lime for zest and for the juice. 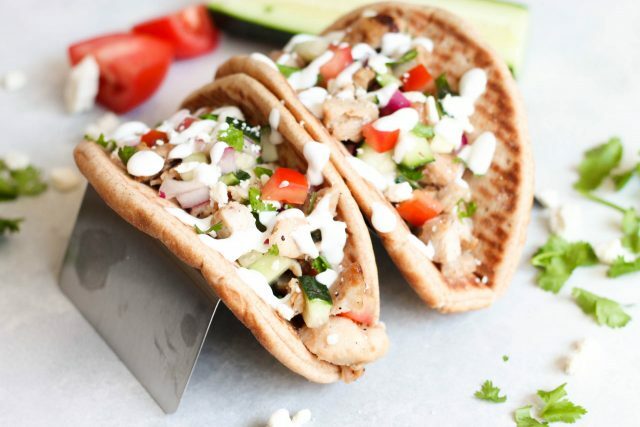 Evenly spread the chicken and vegetable mixture over each pita (we prefer whole wheat pitas), and then top each one with crumbled feta cheese, chopped cilantro, and the lime crema. 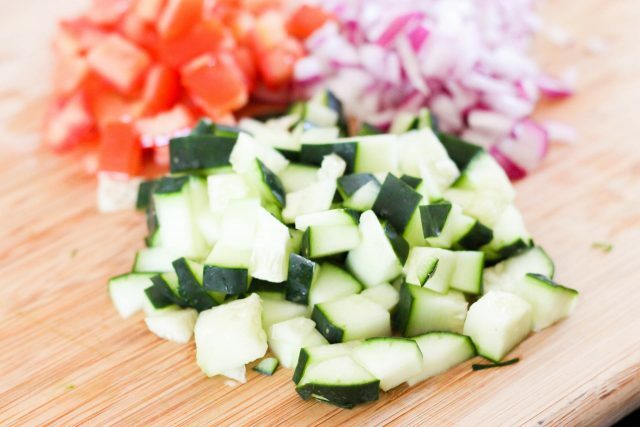 In a small bowl, mix together chicken, tomato, cucumber, and red onion. Toss with red wine vinaigrette and set aside. 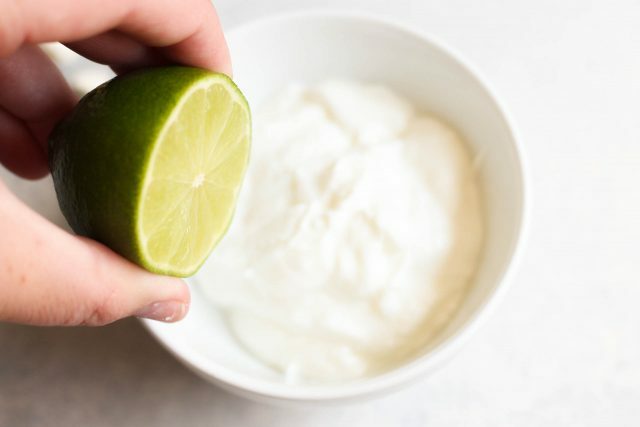 In a separate small bowl, mix together all ingredients for the lime crema. On each pita, place an equal portion of the chicken mixture, then top with feta cheese, cilantro, and drizzle with crema. See how to make these oven-baked beef tacos below. the chicken tacos recipe sounds great. the other recipes about tacos or pitas also look so easy to make. great.